Wow, when it rains, it pours. Two guest posts in one day. I feel blessed and honored. 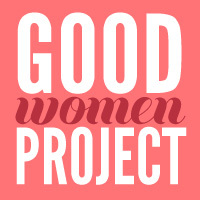 This one is for Good Women Project. When I heard they were focusing on relationships and dating in February, I couldn’t resist sharing this story from my life. It was a Tuesday afternoon. I was taking one of those wonderful after-class naps that are the bread and butter of college life. Until the phone woke me up. It was a guy. He asked me to a movie. I said yes. My reasons for making this commitment were good. I needed time for healing. I needed time to focus. I needed time for my identity to be rooted in God’s love for me. But now, here I was, having said yes to a movie with this guy. Because it’s not really a date if it’s a Tuesday, right? And if it was someone I was friends with? And if he didn’t pay? And if we didn’t hold hands?